God gave me a desire to be who God created me to be. So that I may live into God’s dream for me. God gave me an interest in other cultures and languages. As is to speak and understand. God gave me a love of movement. God gave me opportunities to blend movement and cultures. God gave me a desire to teach these gifts to others. God gave us a desire to be who God created us to be. So that we may live into God’s dream for each of us. 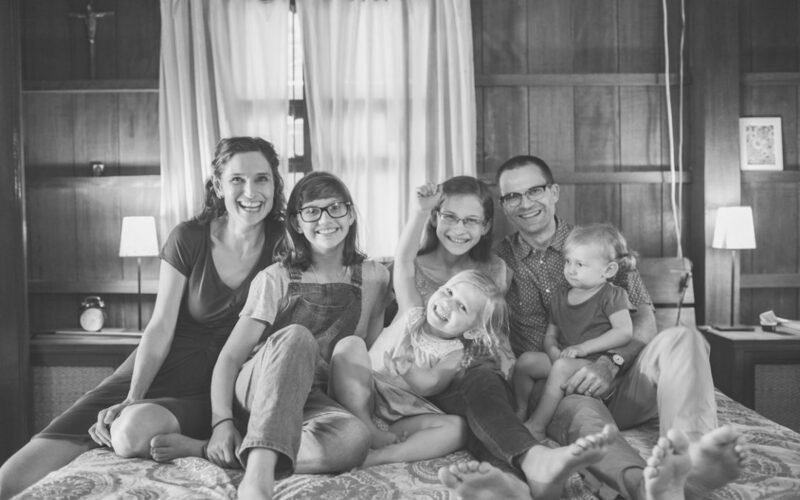 SAMS connected with Missionary Heidi Whitaker, serving with her husband and four daughters. 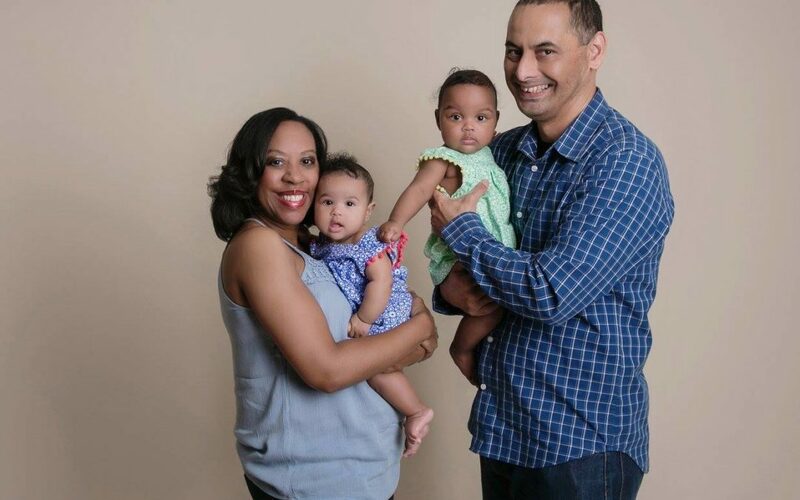 Heidi shares what it is like to be a mom and serve as a family in the mission field. Where do you serve as a missionary and what is your ministry? Phnom Penh, Cambodia – a very urban setting! Ministry-wise, I wear a number of hats, and find a lot of joy in each of them. Most importantly, I’m a wife and a mom to 4 daughters ages 4-17, and we are expecting our others in 5th child in June. Professionally, I am a pediatrician, and I work part time at a medical clinic teaching and discipling Khmer physicians-in-training. My husband serves as the priest of an English language international congregation, and I participate in the church in a variety of ways. Did you serve as a single person before serving as a family? If so, how does serving as a family differ from serving as a single person? I did. My experiences serving in these different capacities have been extremely different. As a single, it was much easier for me to study and learn language, and I was able to immerse in the culture more fully. Serving as a family means that a lot of time is spent on running a home and our family – and the fact is that we are an American family that speaks English. However, having a home and a family means that now I have opportunity to invite others into our home – and we have found that to be an effective, meaningful form of ministry. In moving to Cambodia with a family, my nearest and dearest circle of people came with me, whereas in moving to India and Honduras as a single, I left all of them behind and had to develop a new set of relationships. Missionary kids are certainly required to make sacrifices – and sometimes it can be hard as parents to watch them make their journey of sacrifice. How do you see your children and family as a whole accompanying you in your ministry? For our family, much of this is shaped by my husband’s role as an international congregation priest. Our older daughters have served in various capacities at the church, including leading the greeter team and the altar team, music ministry, and endless behind the scenes set up/take down/office work type tasks. Our younger daughters have also found simple ways to serve the church, and it is amazing to see the ownership they take and the sense of belonging they feel in the church. From time to time there are also opportunities for them to participate in outreaches or special events at the medical center where I work, and they have enjoyed that as well. Where do you find your support as you juggle the tasks of mom, missionary, wife, friend, etc? Much of it comes from other fellow workers who are in similar roles! I also find a lot of support from my prayer partner and from my family back home. What can other mothers take away from your experience? I have lived through many stages of motherhood that have looked many different ways – all the way from working crazy full-time-plus hours as resident to being a stay-at-home homeschooling mom. We have a continual challenge to remain open to what the Lord might have as a next step, because some of the turns in the path are hoped for or expected, and others are quite surprising. As in every area of life, we are called to live iwht open hands before the Lord, ready to release or receive whatever he places before us. What can the readers do to support your family’s missionary work right now? When we returned for home assignment, it was really helpful to have hand me downs of warm clothes gathered and waiting for us. English books are really hard to find, so we have really appreciated having collections of used books sent over with teams or visitors. As we move toward having children in college, I would love to have a couple of families who would be willing to send an occasional care package – it is very difficult for us to send mail from Cambodia. The recent publication of The Messenger features testimonies about moms on the mission field. This article is an extension of this edition. Read The Messenger here. My husband Hunter and I are currently Missionary Candidates living in Greensboro, North Carolina, and preparing to move to Spain to serve as missionaries on the Camino de Santiago. Over 300,000 pilgrims a year walk along the ancient paths of the Camino, many seeking something spiritual to fill the void in their lives, and God has called us to establish a hospitality ministry there where we can care for pilgrims and share with them the love of Christ. Before Hunter and I were married and called to Spain, I lived in Ethiopia and served with a Christian organization called Water is Life International. I lived with another missionary family, but spent most of my time traveling and working on my own with a team of Ethiopian colleagues. I often spent long days in the back of a Land Rover, bumping through the bush of southern Ethiopia, spending time in local communities and working on well drilling projects. Living and serving on the mission field as a single person was very different from what I anticipate it will be like when Hunter and our son Asher and I move to Spain to serve there. One of my greatest struggles during my three years in Ethiopia was loneliness and living far away from family and friends. I felt the pressure of “being on my own” in many ways. While marriage is not a solution to loneliness, I do expect that it will be a very different experience going to Spain and serving as a family unit. I anticipate there will be great comfort in that. My desire is that our ministry would flow out of our family, and that our children would be an active part of it. 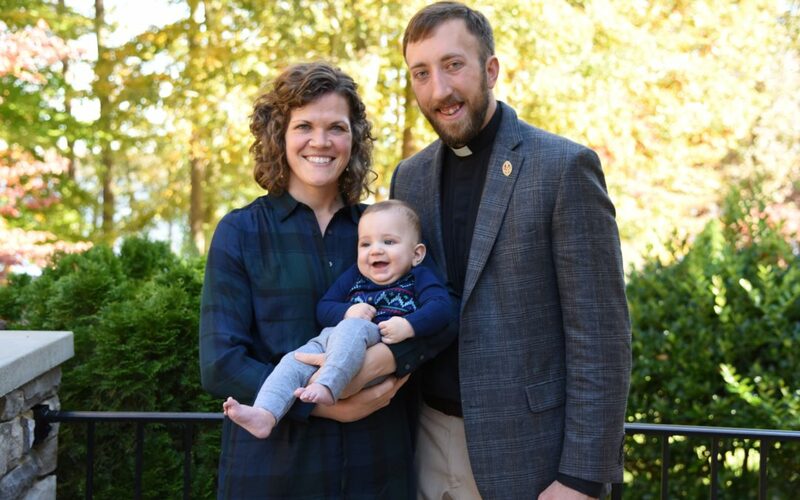 Even now in Greensboro, 7-month-old Asher accompanies Hunter on pastoral visits and helps to bring comfort, joy, and peace to others in our congregation. While this is a simple thing, it represents what we desire for our future ministry with our family. Once we are established on the Camino, we dream of our children helping with chores around the hostel and bearing the hope of the Gospel to weary travelers. 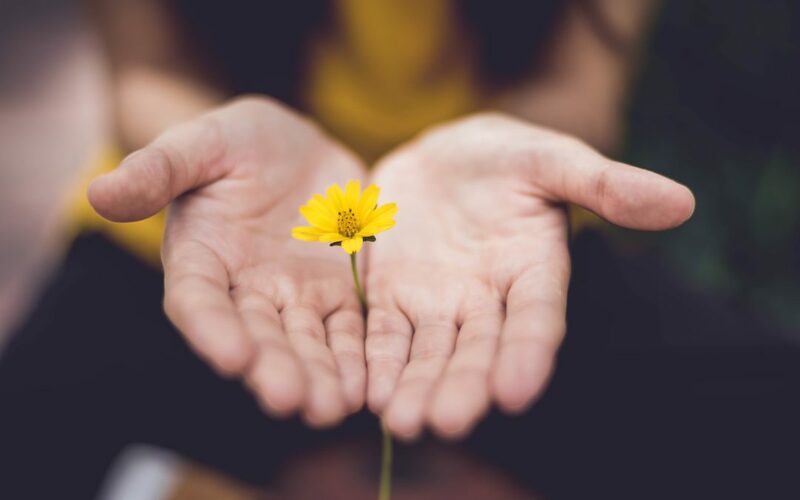 I am a new mom and it has been a journey figuring out how to juggle all the roles and relationships I am blessed with in my life, especially while we are in the intense season of partner development and preparing to move to the mission field. I draw support from God, resting in him and leaning on his strength. Hunter is an incredible support to me and loves and serves me well. We are extremely blessed by our families, and by our community at Church of the Redeemer who continue to bless us and be so generous to us. “It takes a village” is no joke! We continue to pray for God to raise up new partners to step into ministry with us, especially those who have a heart for Europe and the lost. If anyone is interested in learning more about our ministry, or joining us through prayer and financial support, they can contact me at stephievanwagenen@gmail.com or visit our support page on the SAMS website here. Greetings from Jack and Mary McDonald! “Up, up, up we climbed along a dirt path that had been carved into the mountainside by bare, calloused feet that daily trod the red dust. The rolling green hills perched atop each other and reached magnificently toward heaven. Our guides, Batwa children who had run down the mountain to greet us, eagerly led the way to their small village on top of the highest hill. The view was enchanting. Sunflowers, corn rows, and tea tree fields dotted the hillsides like patchwork. Banana leaves waved lazily in the wood-smoke scented breeze, as if to acknowledge our arrival. Next to the hill, densely wooded mountains heralded entrance into the Impenetrable Forest. Those mountains had once been home to the Batwa pygmy people. However, they were expelled from the forest in the late 1980s when it was made into a national park in order to preserve the endangered Mountain Gorillas. No longer able to live the nomadic life of their ancestors, the Batwa turned to agriculture, yet they received little aid and training from their new neighbors, who treated them as outcasts. Our reason for visiting this Batwa village was twofold: 1) to provide animal healthcare training and institute a revolving goat loan program and 2) to provide hope through the message of the Gospel. We began the workshop by reading scripture to help frame our discussion about why and how we care for animals. Every animal belongs to the Lord (Psalm 50) and He has called us to care for His creation (Genesis 1), (to be a steward is to care diligently for something which is not your own). God Himself is our example of how to care for creation. He is a faithful and generous Creator, providing shelter, food, and water for the animals so that they are satisfied, not just meagerly sustained (Psalm 104). Following this, we began a discussion about goat nutrition. The Batwa joyfully scampered around their hilltop to collect samples of the local forage, and we reviewed which of these plants are nutritious and which are poisonous. A discussion of the importance of daily access to clean water left many villagers surprised that the addition of soap and salt to the goats’ water is unnecessary and potentially harmful. We continued the training on shelter and security, characteristics of sick and healthy goats, and goat reproduction. Yet the real meat of the conversations was not the valuable animal healthcare training, but the presentation of the Gospel after the morning workshop. After all, how can a person recognize the value of an animal and care for it appropriately until they have first recognized their own worth as a human being created by God, loved by God, and called by God to dwell with Him forever? Our team was treated to a woodfire-cooked lunch consisting of goat (meat is a rare delicacy for many poor villagers), rice, beans, posho (water and finely ground maize cooked to the consistency of rubbery dough), and fresh avocados and bananas. Following the meal, Rev. Dr. Mary McDonald shared the Gospel with a people group much like the ones that Jesus spent time with—the outcasts, the mistreated, the neglected, the marginalized, the people with seemingly no hope, the spiritually lost and thirsty. Into that darkness Jesus shown, and He still shines today. What a true joy and privilege it was to share that Hope with a people group that longs to know that they are noticed and cared for and loved! 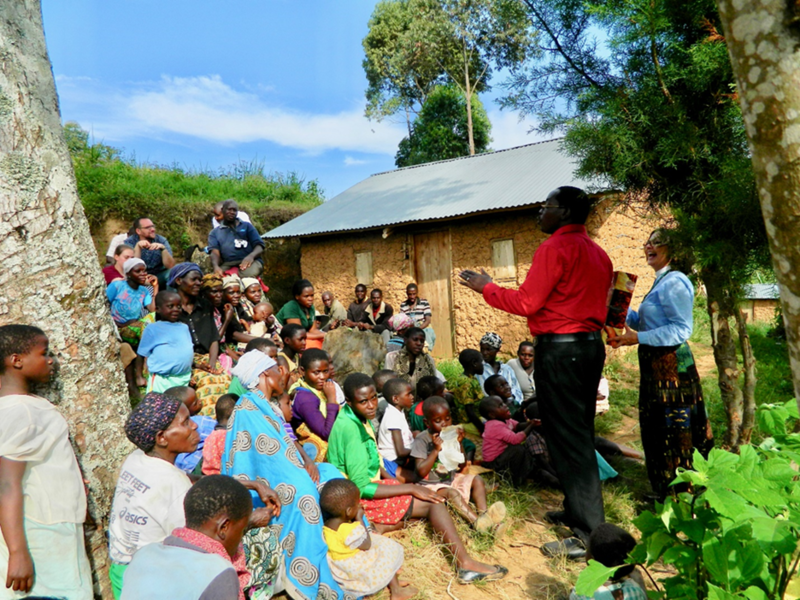 A holy hush fell over the crowd as the Batwa listened to this Hope and intermittently confirmed its truth with head nods, smiles, and softening countenances. Although it is impossible to know people’s hearts it was exciting to see so many of the pygmies were eager to ask Christ into their lives. Thank you for your prayers and support. 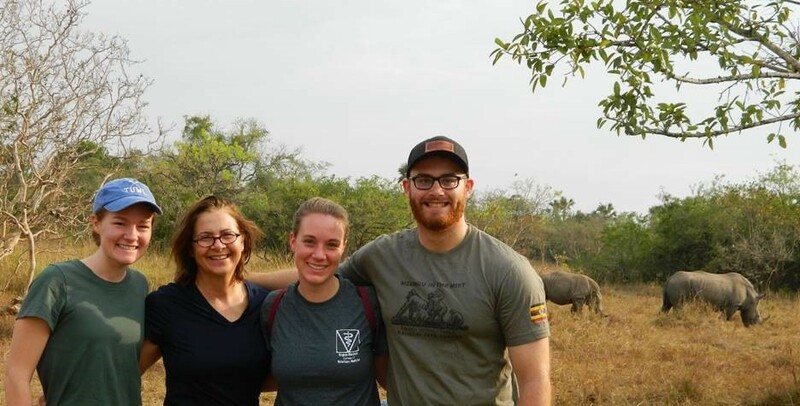 If you would like to help us as we disciple vet students, minister to internationals, take seminary classes and work in Uganda we really need monthly supporters $25, $50.00 or $100.00 monthly. Would you consider giving? As you know, we returned to the United States in late February. I will be honest; transitioning back to life in the U.S. has been difficult, much more difficult than I was expecting. It has been a year of ups and downs and mixed emotions, but God has been faithful, seeing us through the rough patches with the love and support of our family, friends, and partners in ministry. For the most part, I think I have struggled more than Wayne. For him, it’s a new country, life, and adventure. For me, it has been a time of emotional and spiritual grappling, trying to redefine what “home” is for me. My old life and home in the U.S. has changed because I have changed, my family has changed, my country has changed. Redefining home has been sad but also joyous. I left as a single person and returned as a wife and mother. My life has never been so full of joy, and I’m beginning to feel more settled as I begin to define home for my family. We do miss our life and ministry in Cape Town, but we keep up as much as possible with the work of Growing the Church. In October, GtC hosted their fourth International Anglicans Ablaze Conference, and it was the largest one to date. The youth track had more than 750 youth, and I think Wayne and my leadership of the 2014 and 2016 youth tracks helped to make the 2018 one a success too. And in so many other ways, our work still exists in the hands of local South Africans, and that is the way it is supposed to be. Thank you for supporting us through prayers and finances through the years. It has been a privilege partnering with you in ministry. We are so grateful that you joined us for this chapter of our lives. We appreciate your prayers as we continue to live into this new chapter of our lives.